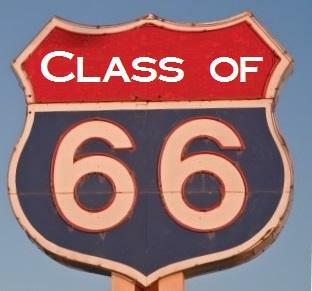 06-02-2016 - Don't miss the Class of 66 reunion. SAVE THE DATES! September 30th, Oct. 1st, Oct. 2nd is our 50th reunion. We have a small committee working on the plans. Our main get-together will be Saturday, Oct. 1st. Stay tuned for more info. We are on the road to fun! You're classmates post often on Facebook. Check our page. And don't forget that we are on FACEBOOK. Scroll down on the left to the "Poll Booth" link. Take the survey and submit your preferences about our next reunion. 10-26-2009 - WHS Hall of Fame photos on our *Look at us Now* page - Please add more if you have them.